Prince Harry joined Her Majesty at Buckingham Palace as The Commonwealth's young leaders were presented with medals for their service to their community. This evening, The Queen and Prince Harry hosted The Queen's Young Leaders 2017 Awards at Buckingham Palace. Created in 2014, the programme rewards and supports exceptional young leaders from across the 52 countries of The Commonwealth. BBC One's The One Show broadcast their programme from Buckingham Palace, while the ceremony was livestreamed on Facebook. Watch it here. After the medals were presented, The Queen hosted a reception at Buckingham Palace. After the ceremony, Her Majesty held a reception for @queensyoungleaders winners and guests at Buckingham Palace. The programme, created in 2014, celebrates young people around The Commonwealth. Afterwards, Prince Harry and Former Prime Minister Sir John Major attended a dinner hosted at Australia House in London. Prince Harry spent time speaking with the young leaders. "It is my pleasure to congratulate the Queen's Young Leaders for 2017. Thank you for inspiring us all," said The Prince. You can read HRH's full speech here. Today Prince Harry attended The @queensyoungleaders Awards Ceremony alongside Her Majesty The Queen. @queensyoungleaders was created in 2014 to celebrate remarkable young leaders across The Commonwealth. 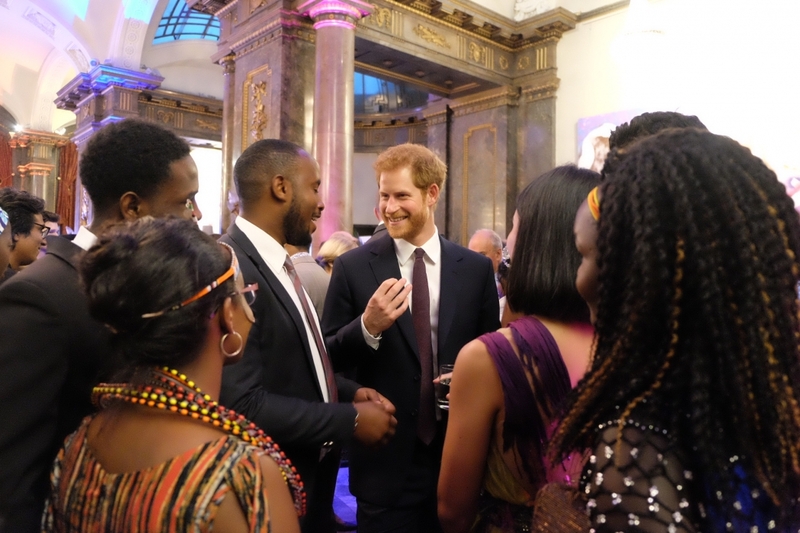 Prince Harry made a speech at the event: "The Commonwealth represents nearly 1/3 of the world's population and is home to over a billion people under 30..." These young people are already tackling many of today's most pressing issues and will be the creatives to take on the biggest challenges we will face in the future." The Search Is On for the last ever Queen's Young Leaders. If you are aged 18-29, from a Commonwealth country and changing the community you live, find out how to apply.